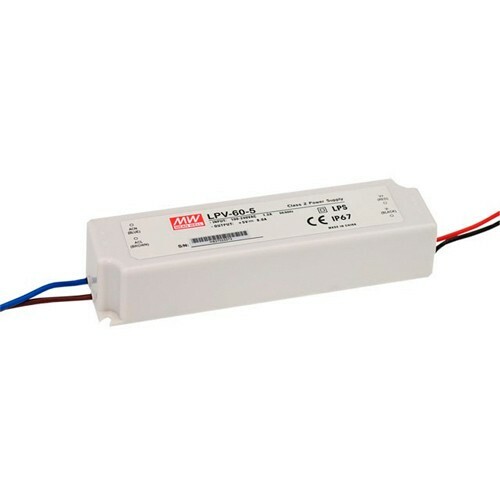 This LPV-60 60 Watt Mean Well Power Supply can be used to power our 12V Single Colour LED Strip Lights and colour changing RGB LED Strip Lights. 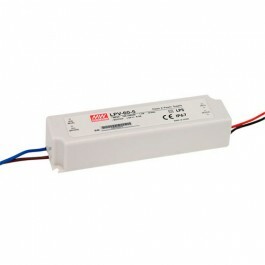 This is a class 2 power supply and 12 volt power adaptor with a maximum load of 60 watts and can be run from a light switch. An IP67 rating also makes it suitable for use in "dry and damp locations."